Hexxit is a mod pack which is made by the people who made tekkit and you can get it in the technic launcher http://www.technicpack.net/ It is a mod pack with mods such as a battletower which is a tower which you have to fight higher and higher and you gain important loot from the chests which is very useful. There is also mods which include little mini-bosses like in the game diablo. The little bosses contain great loot and some of the best armor in hexxit. There is also 2 other dimensions which you can go into. The first one is the nether. The second one is something you guys are less familiar with and its the twilight forest. 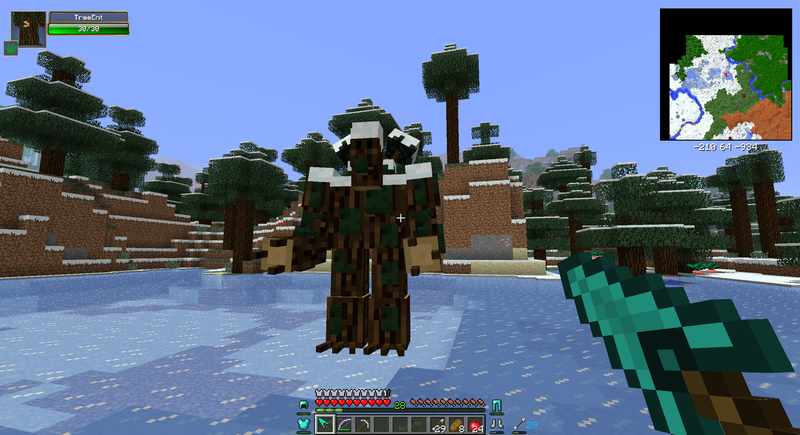 In the twilight forest there are some major bosses and in the twilight forest you can get the scale armor which is the best armor that you can get in the game.You can also make new weapons because of the tinkers construct mod which you can make giant swords, broadswords, and long swords. They each have their own special ability. One is defensive and one is more aggressive. You can see some quick gameplay here. http://www.youtube.com/watch?v=yQpe95iNBrM&feature=c4-overview&list=UU7Iir1qrSvAlJMzBPWut6Dw Thanks for reading.